We have the capacity to handle shipments of oversize cargo, both for full container and less than full container volume. Also, we have the skill and experience to correctly and efficiently load and secure material on flat racks and flatbeds. Special types of cargo containers- flat rack & open top(20' & 40') are required for bulk cargo shipment in export & import operations. We Are Supplying All Types Of Containers. For E.G. 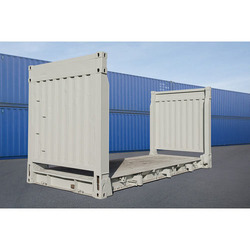 General Dry, Open Top, Flat Rack, And Reefers Containers With Most Competitive Rates And Requires Quantity. 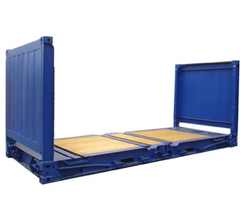 Valued as a reliable manufacturer and supplier, we have been able to offer the finest quality of Flat Rack. We are highly acknowledged organization engaged in presenting remarkable range of 40 Flat Rack Container.